New 'Downton Abbey' movie is a smart call. Why doesn't Hollywood use TV for inspiration more often? Taking the small screen seriously as Hollywood source material should lead to more high-profile film roles for people who aren't white men. The news that there is going to be a “Downton Abbey” movie has sparked intense interest among entertainment journalists and fans alike. Already there are heated discussions about which characters will and won't be appearing. Movies are an expensive investment, and studios look for properties that excite fans and critics. “Downton Abbey,” a PBS Masterpiece series about a noble British family and their servants in the early 20th century, ran for six seasons from 2010 to 2016. The show was one of the signature successes of our current peak television era, so turning it into a film is a marketing no-brainer. And yet, while TV-to-film seems like an obvious path given the attention lavished on successful television series, it remains a road that isn't much taken. Unlike its seemingly unending appetite for franchises, Hollywood is weirdly uninterested in rebooting contemporary television properties. This is unfortunate, because current television tends to be a lot more diverse than Hollywood's go-to material of superhero comics and action film reboots. If Hollywood starts taking the small screen more seriously as source material, it will probably also mean a lot more high-profile roles for people who aren't cisgender white men. While TV-to-film seems like an obvious path given the attention lavished on successful television series, it remains a road that isn't much taken. Hollywood does seem more comfortable remaking older television series like "Baywatch" or "Mission Impossible," than with current shows, even though the latter have younger, more active fanbases. If you had to guess which would strike the fancy of modern audiences — the "The Man From U.N.C.L.E" (1964-1968) or "The Walking Dead" (2010 – present) — who would pick the "The Man From U.N.C.L.E?" Hollywood, that’s who. And the resulting film predictably tanked. Diversity advocates have pushed for Marvel, “Star Wars” and other legacy franchises to cast more roles for women and people of color. And there has certainly been some progress. DC Comics finally released its hugely successful “Wonder Woman” film in 2017. Marvel released “Black Panther” with a virtually all-black cast earlier this year. The “Ocean's” franchise just released a successful all-female reboot; the new “Star Wars” films have included many more women and people of color than the original series. Still, change is slow. There are a lot more male legacy superheroes than female ones; in the “Justice League” ensemble movie Wonder Woman stood alone in a sea of superguys. There are no current plans for an Marvel Universe film led by a woman of color, unless you count vague rumors about a “Ms. Marvel” film maybe happening sometime in the next four years. Fans invested in older properties also often express churlish, bigoted resistance to change. Leslie Jones was deluged with racist bilge on social media after the all female "Ghostbusters" reboot in 2016. Kelly Marie Tran, the first woman of color to play a lead role in the “Star Wars” franchise, was forced to quit Instagram after suffering through months of sexist and racist harassment. Nostalgic properties by their nature have nostalgic fans. Current television, in contrast, is current. Shows launched in the past five to ten years are less restrictive in their casting than comic books written 40, or 60, or 80 years ago. Films based on current television shows wouldn't necessarily need to be overhauled with more diverse casting because the casting is already fairly diverse. Series like "Empire," "Glow," "Killing Eve," "Dark Matter," "The Good Place" and "Scandal" — just to name a handful — include substantial roles for people who aren't white men. An "Orange is the New Black" film would likely provide more substantial work for women of color than a typical year of Hollywood blockbusters. This isn't to say that television is perfect, or that television reboots would solve all of Hollywood's problems with racism or sexism. 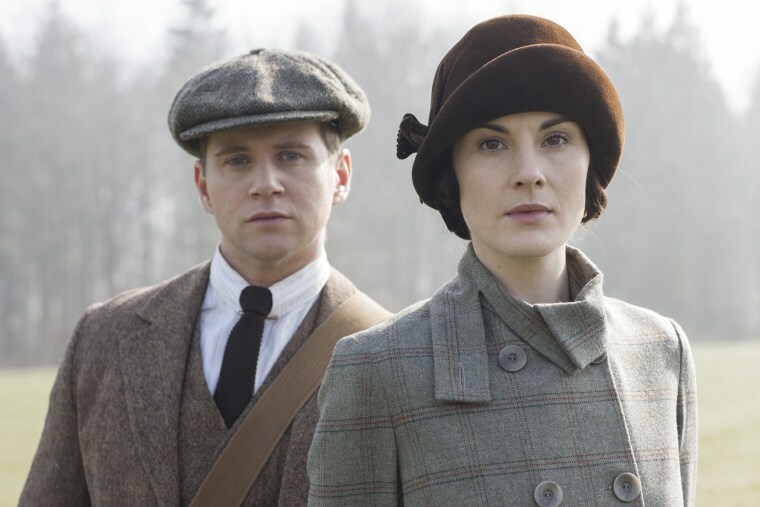 “Downton Abbey” itself has severe limitations. While the show includes numerous roles for white women, it has almost no characters of color. In fact, its most high-profile, non-white character in its first season was a Turkish man presented as stereotypically sexually aggressive. He was killed off as a kind of dirty joke after only one episode. Even as far as gender representation goes, television can be disappointing. But there's disappointing and then there's disappointing. When Hollywood relies on decades old comics or films for its inspiration, it inevitably reproduces decades-old ideas about whose stories are important and what on-screen representation should look like. Television, for all its faults, has been creating new stories that are less beholden to past politics and retrograde fandoms. Maybe a successful “Downton Abbey” film will get Hollywood executives to take notice, and some of those narratives can finally migrate from the small screen to bigger ones.